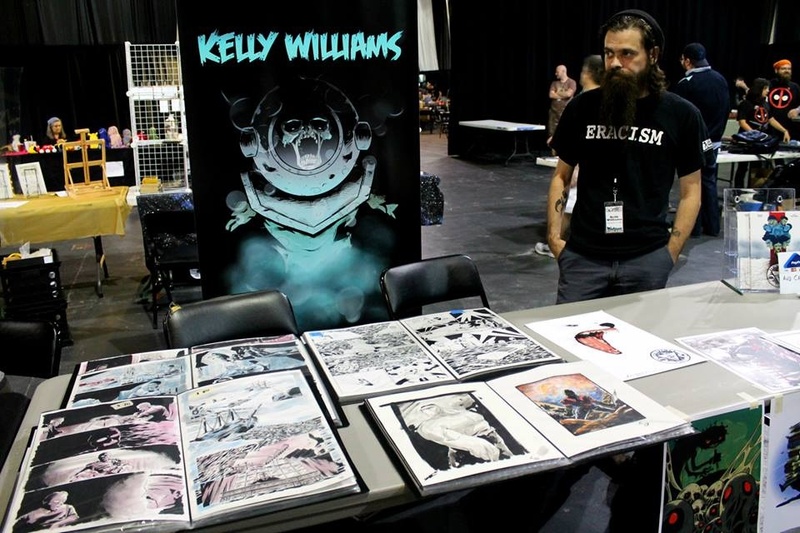 It’s a treat this special Halloween episode with guest, artist Kelly Williams (WWE, Eerie, Creepy)! A lifelong fan of horror movies and monster comics, he joins Wendi to discuss how to convey creepiness in ink, regional urban legends, horror movie/comic crossovers, Kirby monsters, Vietnam prequels and so much more! Brought to you by http://www.dcbservice.com, your leading source for discounts on scary comics past and present including “Afterlife with Archie” and “Jughead: The Hunger”. As well as http://www.blackphoenixalchemylab.com, purveyors of decadent essential oil fragrances including their latest line of Halloween and pumpkin perfumes.